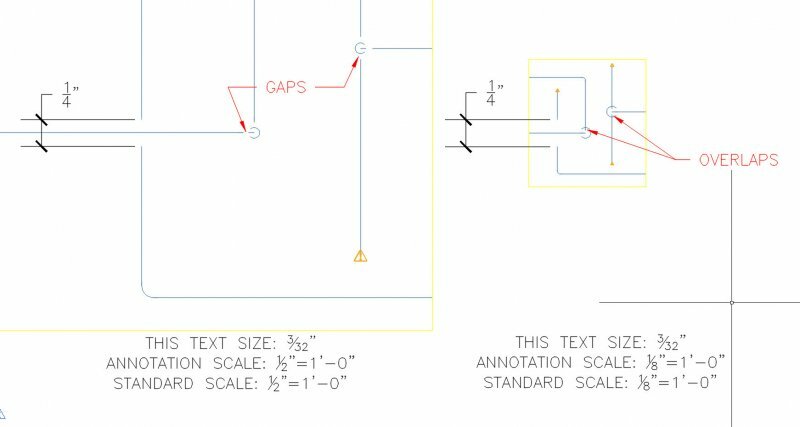 I've been struggling with the Display Manager and Style Manager, to get my MEP piping to look 3D in all views, and single-line schematic symbols in the Plan layout view. So far, I've made good progress and have things looking the way I want them to. Except.... the schematic symbols for pipe drops do not scale properly. So far, I've determined that the 1-line representation represents lengths of pipe, and also the physical sizes of fittings. That includes threaded fittings and thread engagement. So when in the Plan view, the symbol for a pipe drop is shown, and scales. However... the symbol can be either too small, or too large. 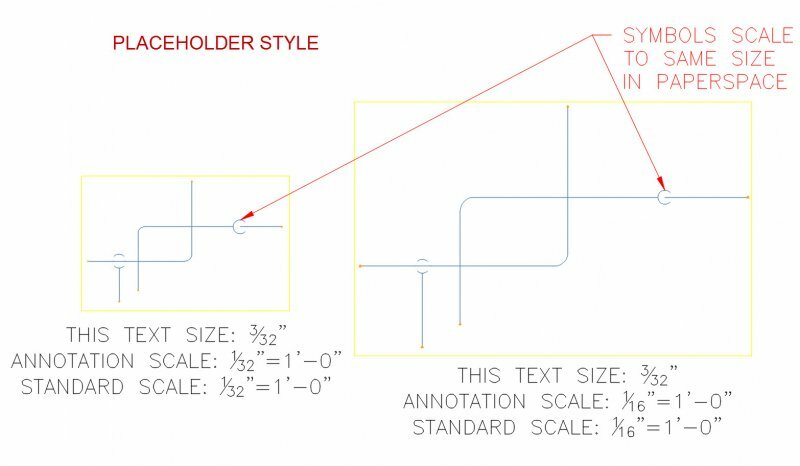 If my annotation scale isn't exactly 1/4"=1'-0" then the pipe line does not terminate at the semicircle. I'm attaching images to explain. Now, I have played around, and found that the scaling behavior of pipe drop symbols is correct, when using Placeholder piping instead of actual systems and piping libraries. The first image shows the pipes with 1-line display enabled. It shows the gaps and overlaps I'm encountering. The symbol does not mask/trim/hide the lines when the symbol is larger than the pipe connection points, and does not extend the pipe lines to the symbol when it is smaller than the connection points. The second image is Placeholders only. No actual 3D pipes, no diameters, no fittings, no useful geometry for building a piping path in a 3D environment. But... looks exactly how we want it for a schematic drawing. Anyone have an idea what I'm missing here? Were there display manager settings I couldn't find?